Stephen is a specialist in Agile & Lean Enterprise Transformation. He helps corporations and government agencies to improve business performance by introducing Lean and Agile methods into portfolio, program and project management layers. The result is a reduction in waste, improvements in quality and customer relationship, and increases speed to market. 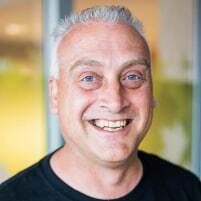 Stephen is a Senior Consultant and agile & Scrum Coach with ZenEx Machina. Agile can work in a distributed environment, but it’s a lot of work; more work than you’d expect if you’ve never done it before. Come and learn about High Performance Distributed Agile Teams. The presentation will teach you the key principles of coaching High Performance distributed teams and to use state-of-the-art tooling to help support distributed teams across geographical boundaries: to improve communication, transparency and productivity challenges. Agile Positivity – Pourquoi j'aime agile (Why I love agile) ... Hmm? Am I biased? … Maybe a little… I guess I am just a cheesy guy! They say French is the language of love., but when I say “I love Agile” ... so much, it’s not just because I’ve been helping organisations adopt agile and thrive using them. I honestly feel agile offers tremendous value to any product development program. Every day you learn something from someone, if you listen. What I most like about working agile is being part of a team. The hardest thing about doing something, is knowing when you have finished doing it. The biggest flaws in my life are my greatest assets! It’s fun to see how far you can push the boundaries. Laughing offers a way of getting through things. I remember the day, I decide it was time for a change. So yes, change is hard; I get it; it’s human nature. But if you’re willing to let it, agile can be pervasive in your organisation, given time to take hold. Everywhere I’ve used it; most people love it. The key to agile is remembering that people are at the core of everything. Agile approaches don’t just let you react to change - they are designed for it. Make your people and processes work for you — don’t be a victim to the one true way of doing something. Embrace transparency, inspection and adaption. No more ‘death marches’. No more spending a ton of time up front in analysis paralysis. No more delivering defective products. Being agile is continually evolving how you do things. Agile is based on Story Telling: Through out history, our ancestors have shared their understanding of their experiences, advice and learnings through story telling. There are many myths and misconception related to agile delivery. Steve Morgan will discuss how story telling of myths, legends and fairytales, apply to agile delivery of products. What happened when Little Red Riding Hood encountered to the Big Bad Woof? The Goldilocks Theory - And the Three Bears. The mythical Legend of King Arthur's search for the Holy Grail and the legend of the sword. Nessie - Does the Loch Ness Monster really exist? You may have heard about widely known practices as TDD – Test Driven Development, or ATDD - Acceptance Test Driven Development or the less known BDD - Behaviour Driven Development or the resurgence of HDD - Hypothesis Driven Development. What is Metric Driven Development (MDD)? Metric Driven Development is defined as the practice where metrics is used to drive the entire product development cycle. The use of just-in-time metrics to drive rapid, precise and granular product iterations. In an organisation who uses MDD, where everything from performance to usage patterns is measured. Every single decision is used by the development team is based on metrics.